I was totally disappointed in this because I wanted it to serve two functions: my Digit-al Dozen Holiday nails and my birthday mani. I've always been fascinated with glittery Xmas tree ornaments, so that is what I was going for with these. But I disliked the outcome so much, I cleaned them off before going out to dinner with my husband. Actually had bare nails on our date. Can you believe?? I'll show you the pics, then tell you why you should save your money. 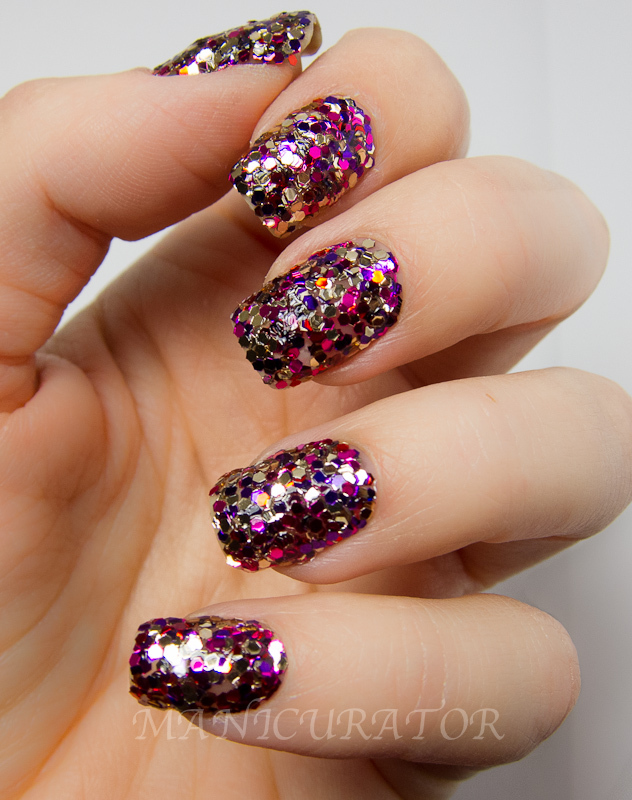 Here's what I used: the Ciate Sequined Manicure set from Sephora. 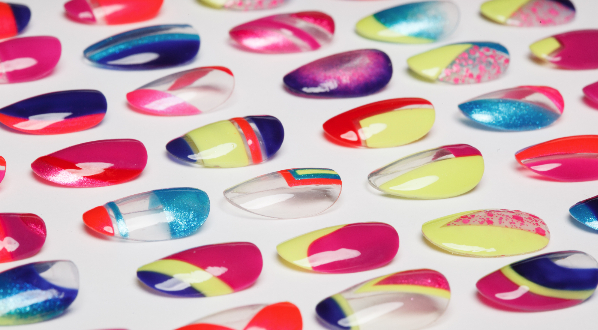 It comes with a clear nail polish. You polish and then after your second coat of clear dip your finger in the pot of "sequins" aka glitter and then you are told to press them down. Well..it felt more like a glitter fur coat to me, and when you go to flatten and spread them out...some stick to your finger and come right off so you have bald spots. grr. It has an overall bombshell glitter look..but the fact that they pile up, and many don't lay flat is a deal breaker for me. 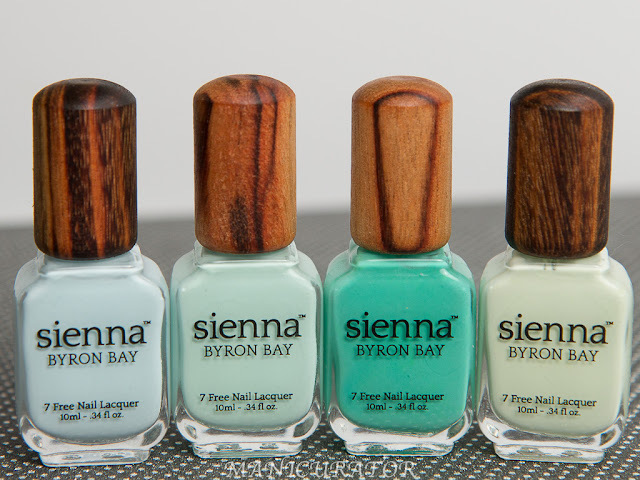 You can also just buy clear nail polish and loose glitter from a craft store for a fraction of the cost. I WILL say this though...these glitters are higher quality!! ALL uniform shape with no deformities. ok, that's it for tonight. I'm done. Had a great birthday and need to get some ZzZZZZzzZZZ's. Do you like these? Worth the spurge? Am I just too critical? Thank you!! That's very sweet of you, but I agree..this is a no for me too. How long did you wear it? Did it get caught in anything? I just wonder if it's at all "wearable". It sure looks pretty though. I wore this for a few hours, over to a friends house and back. It didn't catch on anything I had on top coat. Pretty but not worth the splurge ! HAPPY BDAY! Thank you!!! Totally agree with ya! OMG!!! 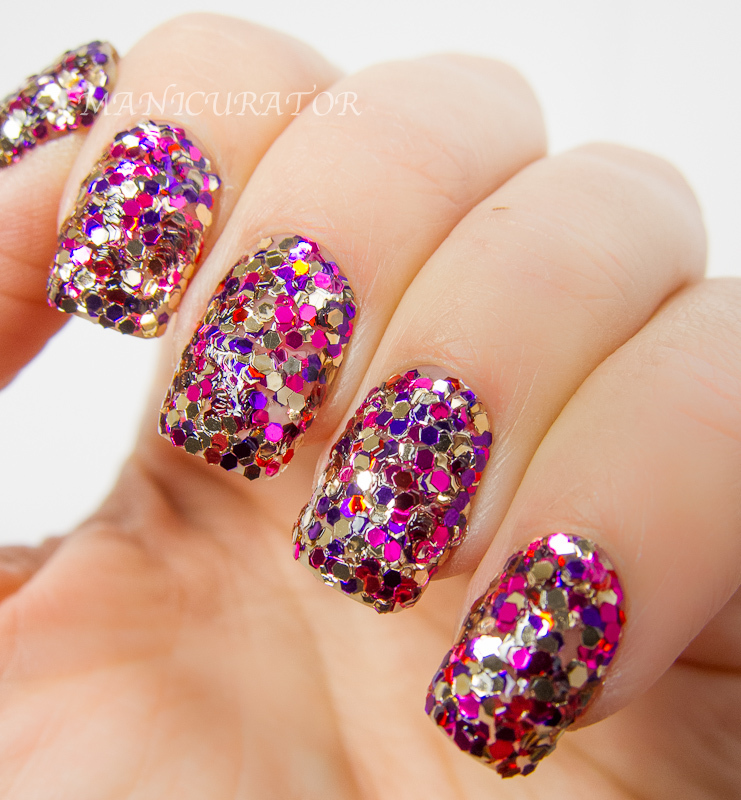 THis mani is so gorgeous! Love the sequins for they look so elegant and classy. Great job! Happy Birthday!!!! 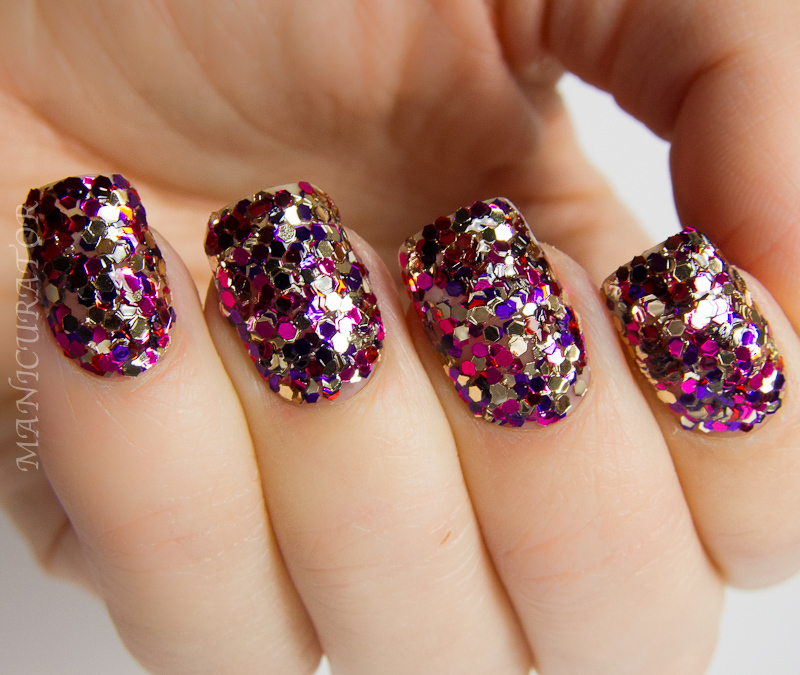 I think this is really pretty and obviously a glitter bomb, but I agree with you....it would drive me nuts on my nails! And for $19? No thanks!! Wowza! So much amazing bling! Happy Birthday! Yes, blingy is appropriate LOL, Thanks!! OMG!!! 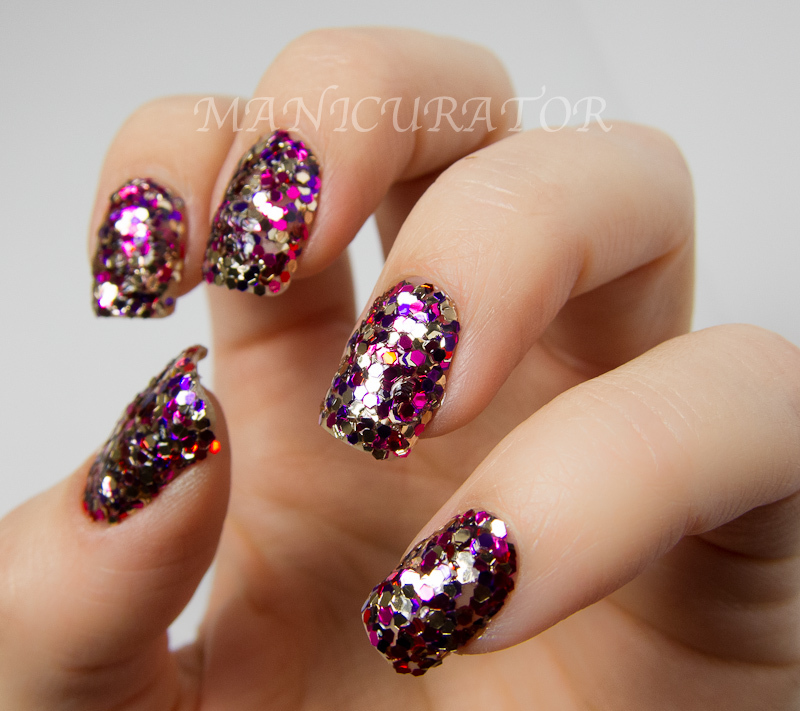 This mani is so stunning!!! I find it so elegant and classy. This is not only perfect for this season but for all season. Great job!!! Love the idea but in practice looks like gloppy gook! 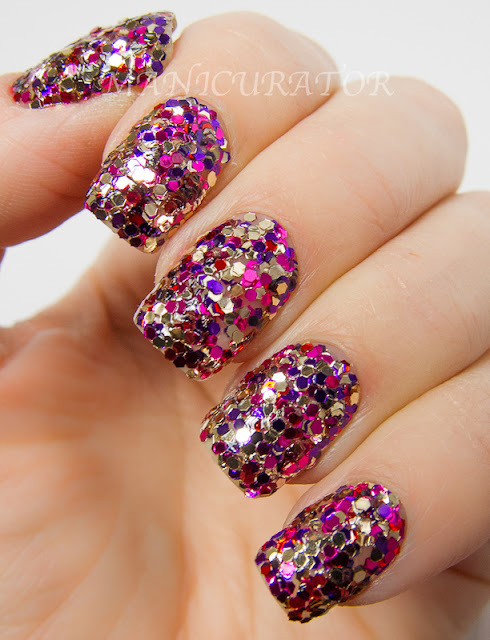 It really just looks like you applied glue to your fingers and stuck them in glitter. There is no elegance or art to it. :-/ I would say no. Especially for $19!